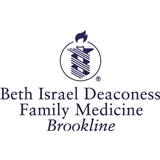 Beth Israel Deaconess Family Medicine - Brookline (Brookline) - Book Appointment Online! Welcome to Beth Israel Deaconess HealthCare, a network of more than 100 highly-skilled primary care physicians and specialists who are affiliated with the renowned Beth Israel Deaconess Medical Center in Boston, Beth Israel Deaconess Hospital-Needham, Beth Israel Deaconess Hospital-Milton and Beth Israel Deaconess Hospital-Plymouth. Our physicians are conveniently located across Greater Boston, the western suburbs, south shore, and much of eastern Massachusetts — near where you live and work, so they are close by when you need them most. Dr. Rittner was really helpful, asked questions to better understand my health and lifestyle, and made me feel really comfortable. I would highly recommend him.